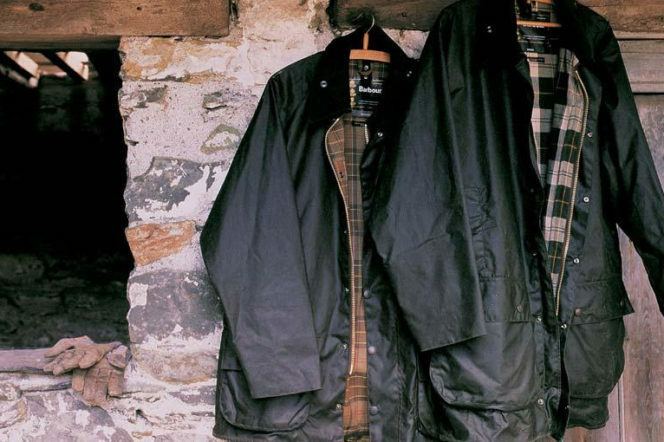 Family lies at the core of the Barbour brand, which was founded in 1894 by John Barbour. 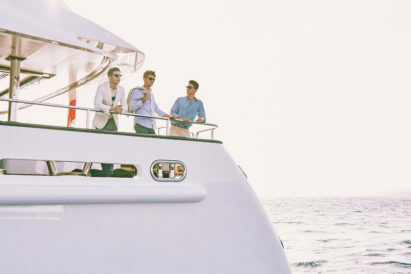 Still owned by the Barbour family, with Dame Margaret Barbour as chairman, and her daughter, Helen, on the board of directors, the 121 year-old company has made a name for itself as a leading English luxury fashion brand. Founded by John Barbour, a Scot from Galloway, the clothesmakers have become internationally famous for their waxed cotton jackets. Barbour initially put themselves on the retail map when they began producing weatherproof outdoor clothing for the military – with their Ursula suit becoming standard issue for the Submarine service in WWII. Prior to this, the company was supplying oilskins and other outdoor garments to the surrounding community of seamen, sailors and dockers to protect them from the treacherous North Sea weather. 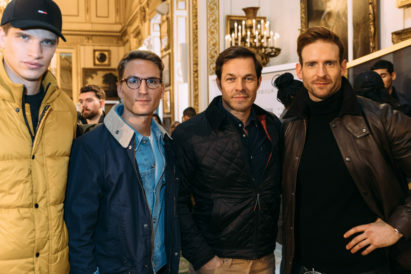 Quickly establishing themselves as one of the leading suppliers of such garments and becoming well-known for their innovation and high levels quality, the first Barbour catalogue was introduced in 1908 and the company soon opened its client base to a global audience, spanning from landowners and farmers to buyers as far flung as South America and Asia. It was in 1936 that the iconic wax cotton International motorcycle jacket was first created and worn by almost every rider in the International Six Day Trials circuit from the 1950s to the 1970s, with Steve McQueen being just one of many famous faces to have sported the garment. 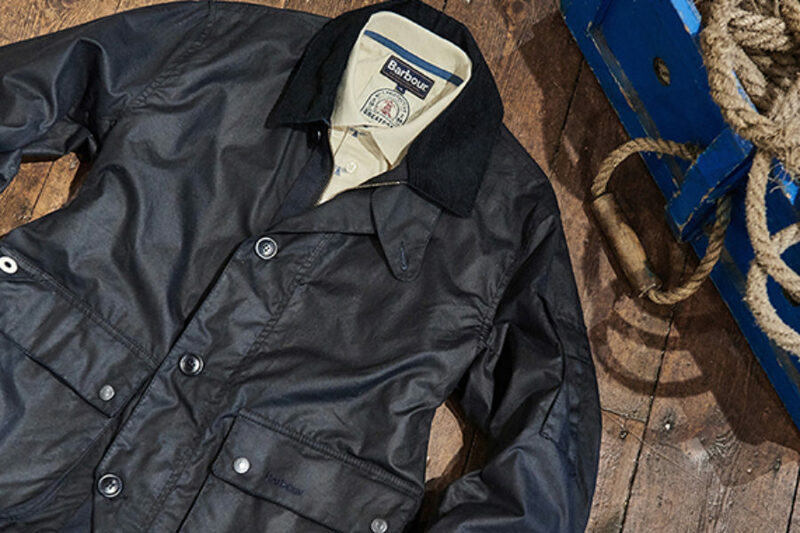 To this day, Barbour’s traditional jackets continue to be at the heart of the company, and are currently produced at their 180-strong factory in the Northern coastal town of South Shields (to which they moved in 1981). With three Royal warrants (the Duke of Edinburgh (1974), Her Majesty the Queen (1982) and HRH the Prince of Wales (1987)), under their well-waxed belts, it comes as no surprise that the order and process in which their logically laid out factory works is second to none. In total, it takes 36 people to make just one Barbour jacket from start to finish – and each person an essential part of the production process. When the prep (detail) work is complete, it is the responsibility of the team leader to move the completed pieces onto the racking for one of the 5 production lines; each of which can have different styles of garments being made. Hanging clips on a Diablo are used to pass the completed pieces on to the next member of the team via a pulley system. 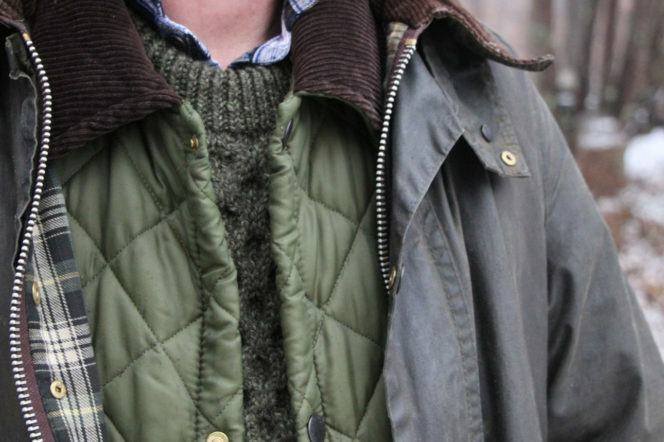 A vast number of individual parts make up a Barbour jacket. 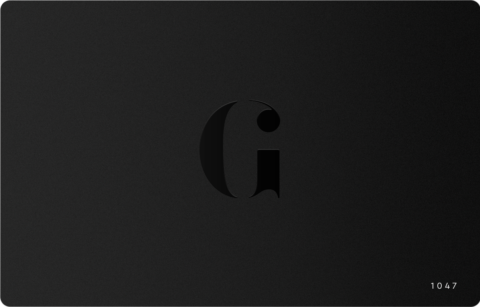 For example, a total of 160 parts make up a Bedale jacket – broken down into; 49 cut parts of fabric, 103 trims which include binding, thread, zips & studs, 8 items of packaging including of care leaflets, ticketing, badges and poly bag. With approximately 50 styles of traditional wax jackets for men, women and children in production, the hand made pieces are produced like clock-work on a daily basis with a new garment being completed every 3 minutes. The factory produces approximately 3000 garments per week and 130,000 – 140,000 per year. 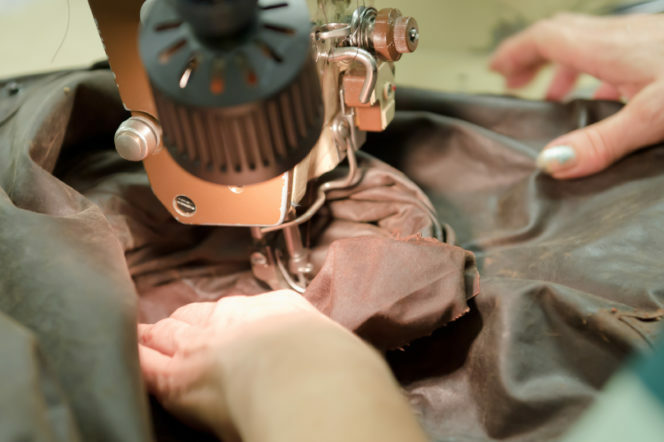 Also within the factory is the renowned re-waxing service, where each year approximately 13,000 Barbour jackets are lovingly repaired, reproofed or altered to their former glory. With roots firmly in its heritage, the Barbour brand continues to grow and develop each year, a testament to it’s founder and family values.